Somewhere in the chaos and rush of wifedom and motherhood I have forgotten how much I love music. Today I’m alone and I’m not working. Or, at least, I’m not working in the traditional sense, though I am practicing, as my friend MJ says, the “Home Arts.” I’m cooking for the feast that we will have with four of our best friends tonight. Standing rib roast, yorkshire puddings (ask someone British if you don’t know what these are – then do your best to get some…), roast potatoes, Brussels sprouts, butternut squash, Pavlova (ditto above – just ask someone Australian or a Kiwi) and some homemade ice cream to round out the gluttony. I was going to turn on the TV while I cooked, but come on, between the ice cream maker, mixer and being on the other side of the room, I wouldn’t hear a thing. So, instead, I decided to open the long ignored iTunes icon and I chose a playlist I made many years ago – before the aforementioned wifedom and motherhood. I called the playlist “Awe.” It contains songs that make me feel fully alive – the kind of songs that make you want to dance around, sing as loud as you can, and not care who sees or hears you. These songs make me feel FULL. Full of life, and love and wonder. They are the kind of songs that make me cry from happiness, and sadness, and longing and joy. Most of these songs are not “hits” for anyone but me. Somewhat obscure bands like Catherine Wheel, The Lowest of the Low and Bob Mould, plenty of ’80s “alternative” music and (for me) some bizarre additions like The Black Eyed Peas. There are songs everyone knows too, but together this list just, well, sings to me. The feeling these songs give me is part of the reason I have “blown up my life” (another gem courtesy of MJ) and decided to follow B to the African jungles (even though they might be concrete jungles primarily). And listening is reminding me that life is full of Awe, isn’t it? In song, in art, in the goodness of other humans, in just looking out the window and seeing a gorgeous blue sky with passing clouds, in smelling bacon cooking. In so many ways. I have had a million small and large moments of awe this year – it’s been a good one, 2014. But my playlist is reminding of how much awe there is to come in 2015. I can’t wait. I’ve got to get back to my Choux de Bruxelles now, and Spoon just came on so I need to get up and dance. For anyone who is curious, the whole list of “AWE” is below. Happy New Year friends. I hope 2015 is awe-some – and awe-filled – for all of you. 5,892. This, in pounds, and along with a few hundred additional pounds currently in our Arlington apartment, is what our “life” weighs. I called the State Department warehouse in Maryland where our stuff, and the stuff of many other FS families, resides while we galavant around the world. 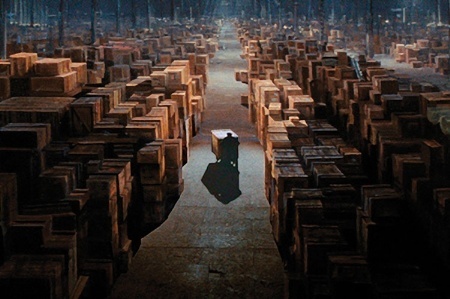 In my head, it looks like the last scene from Raiders of the Lost Ark. When the movers came and emptied our house in Charlotte they took everything to this warehouse. We haven’t seen it since, though we get one opportunity to visit it before we decide what it is we want to have shipped to us in Kinshasa when we leave in a few months. As January 1 creeps (or rushes…) up to me I decided it was time to know how much all that stuff weighed so I could start mentally thinking about what we could (and would want to) bring with us as part of our HHE. This got me thinking about what we want to bring with us in all the categories of “shipments” we have. As I’ve mentioned before, there are several categories of shipments that we get when we leave (or “pack out”) of Arlington and head toward Africa. By my count there are six: carry-on luggage, checked baggage, UAB, HHE, POV and Consumables. Each will have its own set of challenges in terms of packing and scheduling. For now I’m just thinking in broad strokes and hoping I can narrow down what we want before July. So here, a short description of the six types of packing we’ll be doing. The first is no different than a typical traveler: carry-on luggage. Normally my carry-on consists of some clothes (thrown in last minute), a book (wishful thinking with a three year old as a traveling companion) and my toiletries bag (in handy see- through bag). This time, all of our carry-on bags (one bag and one personal item each for C, B and me), will be packed with precision and much forethought. They will include enough games, toys, coloring books, and downloaded TV shows/movies to keep C occupied for basically 24 hours of traveling. The first flight (from the US to Europe) will be overnight, so that might be easier, but I have no idea if the level of excitement we will all be feeling will allow for sleep, so I’ll be prepared. The second flight, from Europe to Kin (it’s time to revert to the “nickname” for our new home – typing Kinshasa is getting old…) is 8 hours long in the middle of the day. Leaving at 10 a.m. and getting in at 5 p.m. So I predict at least one bag will be devoted to kid-occupation. The other bags will be carrying our “must have” “cannot lose” items – documents, money, medication etc. We officially get to check two 50 lbs bags each. So that’s 300 lbs of stuff that will travel on the same plane with us. Technically we can, on our own dime, bring more, but having looked at the cost it is not the “few extra” dollars I anticipated. You can take up to five additional bags, each up to 50 lbs, at a cost of $146 each. Do not put it past me to set aside $730 so that I can make sure that I have my Le Creuset, cast iron frying pan, and other “creature” comforts, but right now that is seeming like a steep cost for a few extras. I suspect most of our checked baggage will be our clothes (but hooray for going to a hot country where clothes weigh less!) and a lot of C’s toys. This luggage, along with our carry-ons, will be all we’ll have of our own for several months in Kin – hence my desire to have my frying pan. We’ll have a “welcome kit” when we arrive which I’m sure will contain a frying pan, but I’m equally sure that having my own frying pan will help me feel that much more “settled” when we arrive. The remaining categories of stuff (see below) won’t arrive for between two and six months. So what we put in our checked baggage will be “it” until possibly Christmas time. Our dog, Miller, because he weighs over 70 lbs, will be a whole separate category of “cargo” but thankfully he will be on our plane, so I’m considering him within the “checked” category. I’ve written about our UAB before, but this time it will be a whole different world of UAB. Last time we were driving two cars about 400 miles, so whatever didn’t go in UAB just got shoved (and I mean this fairly literally) into the car with us. I also drove back to Charlotte for work and picked up all the stuff that wouldn’t fit in the cars on the first trip. This time, we’re moving 6,570 miles over an ocean and to another continent. There will be no “going back” to pick up anything we’ve left, forgotten, or couldn’t fit on the first trip. We’ve been told by the folks in the know (the CLO (Community Liaison Officer) in Kin) that it can take 2-4 months for our UAB to arrive in Kin. 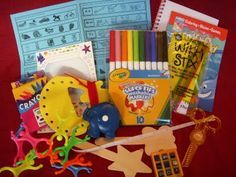 So what goes in the UAB needs to be things that we can do without for 2-4 months, but that we want more than the things that are going in our HHE (Household Effects) – since it can apparently take up to six months for that to arrive. We get a total of 600 lbs of UAB, so, assuming most of our clothes manage to fit in our carry-on and checked luggage, I suspect this will be a lot of kitchen stuff, but I’ve got until July to figure it out (and I’ll probably need every second of the time I’ve got). So this is where the 5,892 lbs comes into play. I wanted to know the weight of our storage so I could start thinking about what I would want to have shipped to make our new house a little homier. I knew we wouldn’t top the 18,000 lbs career limit (the max any FSO can have – be they ambassador or lowly ELO (entry level officer)), but I was frankly shocked to find out that we didn’t even come close to the 7,200 lbs HHE limit for our post (where housing is provided fully-furnished). Technically this means we could ask for everything that is in storage. We won’t, because there won’t be room for all our furniture, but it’s amazing to me that our house full of stuff weighs less than the 7,200 lbs allowance. 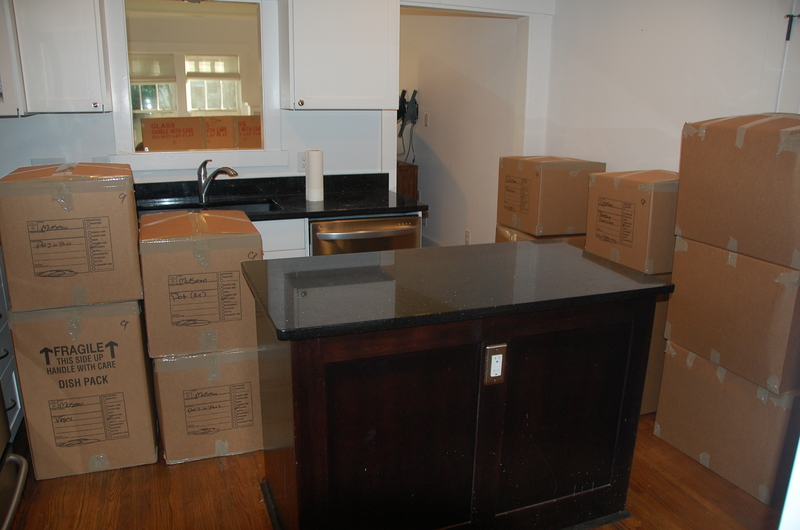 Admittedly, we don’t have our fridge, washer/dryer, and stove in storage (our renters have those), and we sold our sectional and a couple of other pieces of furniture, but if all of this fell through – we could still furnish a four bedroom house so that it looked like grow ups lived there. The one piece of furniture I know we’ll want to include in our HHE is our bed – I DREAM of our king sized bed…a queen just doesn’t cut it once you get used to a king. We’ll be able to bring all our kitchen stuff too. Hooray for no more wine bottles as rolling pins (now I can use wine bottles for their intended use – drinking!). It seems to be somewhat shocking to people that the USG will ship our car to Kin for us. Only one car, mind you, but still…our trusty 4Runner will be making the trip with us. We strongly considered selling our other car when we left Charlotte. We certainly don’t need two cars in DC. We don’t even really need one car given that we have the Metro and are walking distance to pretty much everything, but we’re really glad we kept both of them since it means that we might not have to wait 6 months for our car. Our plan right now is to ship the 4Runner early – several months before we are scheduled to leave – and *hopefully* (fingers crossed everyone) it will be there when we arrive (or soon thereafter). Having a second car allows us the luxury of shipping one car, but still having a vehicle. And, since I’m planning to spend some time driving around visiting friends and family before we leave, this makes me very happy. This is 2,500 lbs of “commodities that are intended to be used up relatively quickly.” Not all posts are “consumable” posts, but Kin is. 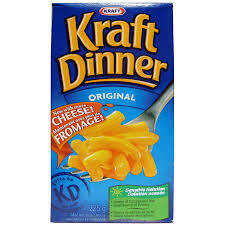 So, we’ll also be identifying the 1,250 lbs of Kraft Dinner (shout out to my Canadian peeps), coke, peanut butter, spices etc…that we want and shipping those in an entirely separate shipment. We’ll save the second 1,250 for later in our tour to account for expiration dates and determining the things we REALLY miss, instead of the things that we think we’re going to miss. I’ll have to write a whole separate post about the consumables – I’m already obsessing, but suffice it to say that 1,250 lbs of food/household goods could mean 2500 cans of coke, or 3,636 boxes of Mac & Cheese, or almost 84 bags of dog food (the big ones). The combinations are endless – I’m hoping to come up with the perfect one before July. What is on the bucket list? We’re not sure yet. But there are a lot of options. There is even an entire blog with a list (or several) of things to do in DRC and Kinshasa. We’ll take our time getting adjusted, but we’ll also enjoy our time in Congo – that’s part of the point of this adventure, right? When I have travelled in the past, I have always been sad that I couldn’t really immerse myself in any culture in a week, or two, or even three. But now I have two years. Two years to learn more about the Democratic Republic of the Congo than I ever thought I’d know. It’s crazy, but exciting. One other thing I’ve learned in the last few weeks is that we won’t be taking any “weekend” trips to other places in Africa (beyond Brazzaville, the capital of the Republic of the Congo, which is right across the Congo River from Kinshasa). 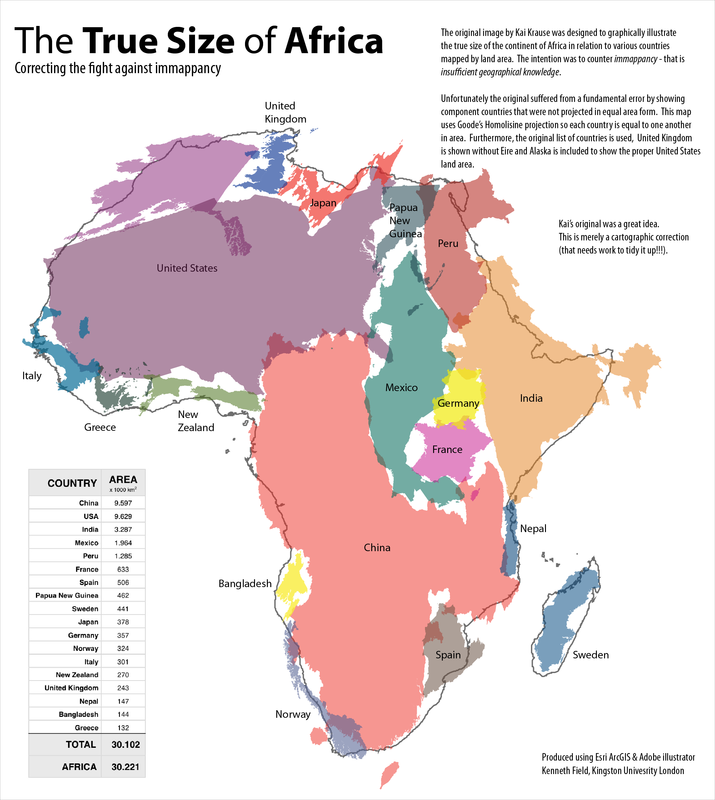 I knew Africa was big, but the sheer enormity of this continent is a little mind boggling. Crazy, eh? If you take out China and Japan you can add Canada to the list to the left instead (at 9.985 km squared). 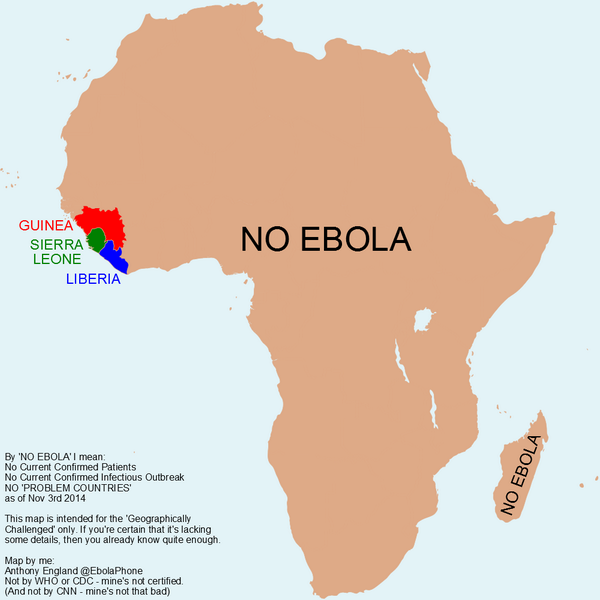 That means that the entirety of North America fits into Africa, along with a good portion of Europe, as well as India and several other countries. My parents want to meet us in Cape Town – it’s an eight hour flight. Farther than flying from D.C. to London. Farther than flying from D.C. to Denver AND back. 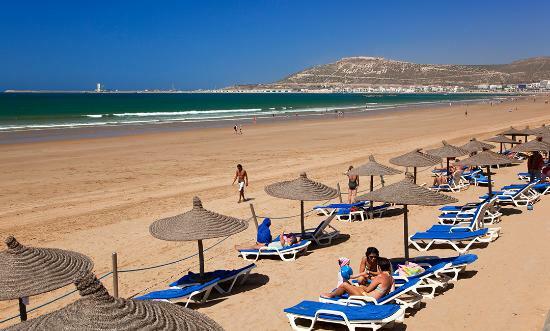 Our friends J and B are moving to Agadir, Morocco. To visit them it would be a 10 hour flight – I could go to L.A. and back from D.C. in the same amount of time. And that doesn’t take into account the fact that there is no such thing as a flight from Kinshasa to Agadir. To fly there we would have to fly from Kinshasa to Addis Ababa, Ethiopia (yes, for those who are familiar with a map of Africa that is on the other side of the continent from Kinshasa and Morocco), then to Cairo, then to Casablanca and then to Agadir. That is the fastest way – it would take over 24 hours of traveling. The bottom line is that I’m really hoping we get to explore other places in Africa while we’re there on this tour, but I’m definitely learning that I need to manage my expectations. Still, while the world is a big place, you’ve got to start somewhere, right?